Our mission at ALLSPEC is to perform the highest-quality inspections in Southeast Texas. We are always hard working, respectful and considerate by taking a personal interest in our client’s specific needs and educate them on all of our findings to give you the confidence to make an educated decision on one of the biggest purchases you may ever make. Welcome to our website! We know buying a home is one of the most important purchases you will ever make. 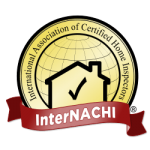 If your looking for a thorough home inspection, your search can stop here, we work for you. We are committed to performing very comprehensive inspections of the upmost quality, integrity and professionalism. Our job is not done until you understand all items listed in our report and all of your questions are answered. The majority of our business is from client referrals and from real estate agent recommendations. Our job does not end after the report is completed, should you have any questions months down the road, you are encouraged to give us a call, we are here to assist you. Whether you're buying a new home and want to be sure of what you're buying, selling a property and want to eliminate possible problems before you sell, Or just want a professional to inspect and advise you on the condition of your current home, we are here to help. 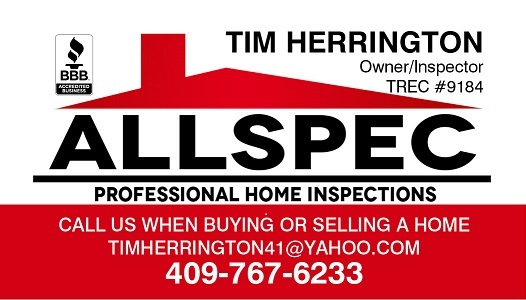 I'm not just a Beaumont home inspector, we cover all surrounding areas from the coast to lakes and look forward to being your "top rated" home inspection company.